Mange problems, whether dog or cat (or other companion pet), have the potential to become a serious health issue. Though different types, these are all parasite issues involving various varieties of MITES infecting or taking over the surface of the ‘host’ animal. The various types of these tiny bugs or ‘parasites’ can certainly create serious havoc within skin areas of your pet, and some types are much more common than others. Most can be highly contagious – with contact between animals. It should be noted that some types can be normally present but usually dormant and therefore basically harmless. 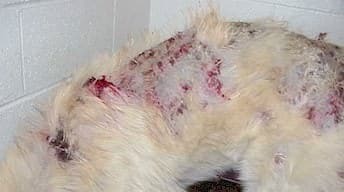 Since Mange problems are most often an indirect result or artifact of an under-performing immune system, NZYMES® products that help the body to restore immune function while assisting with its challenges have shown to be vital in the task of bringing a dog (or cat) back from a horrific case of mite infestation problems, like Mange. 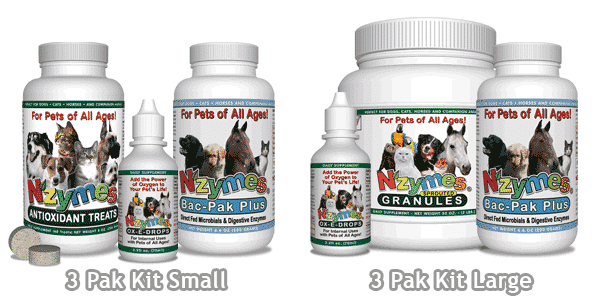 Further discussion of recommended NZYMES® products, and why, is found at the bottom of this page. Also, most forms of Mange can be highly contagious; see a related list at page bottom. This type of mange is caused by a mite that is on all dogs and is normally dormant unless the dog is stressed or has an underdeveloped or weakened immune system. Therefore, puppies are often susceptible. Mange mites can easily be identified under a microscope, so there should be no guesswork concerning a diagnosis. This problem is not genetic, nor is it contagious. The mites are on all animals at all times, and when the system is suppressed, the little critters have a field day and become active. Once the immune system is functioning, they go back to a state of dormancy. Demodectic Mange is very common at 3 – 7 months of age. 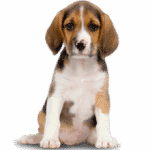 This is the worst time for puppies due to teething, growth, vaccines, hormones, wormers and cropping, training and being sent off to their new homes. There are holistic ways to handle demodectic mange. The most important aspect of this is to follow a well-rounded nutritional feed program, including the right immune supporting supplements. This particular form of mange is also referred to as Canine Scabies; this is because it is caused by a parasite known as Sarcoptes scabiei. This tiny mite prefers to spend its short existence on Dogs, but will infect Cats, Ferrets, and some other pets; though, there are specific species of these mites for each type of being. Symptoms include hair loss and some fairly severe itching, but a vet should be able to detect them. The life span is short, 3-8 days, but they lay their larvae, so the infection is self-preserving if not dealt with. Proper treatments can control and eliminate these infections. Notoedric mange (Cats Mange) – Notoedric Mange is closely related to Sarcoptic mange in dogs, but it is mange on cats. Both conditions typically begin with itchy crusts and scales on the ear margins. The mites may quickly move to the face and, if left untreated, can spread to your pet’s entire body. Cat Mange mites are external parasites that burrow into the skin of your cat and cause damage to their skin and hair follicles. Notoedric mange or Cats Mange causes sores, lesions, and/or hair loss and is the only Mange on cats condition. Like Sarcoptic Mange, Notoedric Mange is also a highly Contagious Cat Mange Disease. Cheyletiellosis is a mild skin condition caused by the Cheyletiella species of mites. This form has also known as “walking dandruff” because it resembles a bad case of dandruff and is typically seen on the neck and back. Cheyletiella are large mites that live on epidermal layers of dogs, cats, rabbits, humans, and other animals. They do not burrow into the skin but rather they live within the keratin level. Where they have taken up residence on a host, their 21-day life cycle is normally on that one host. Survival of this type of parasite, off a host, is typically no more than 10 days. 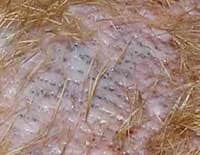 But, it should be noted that the Cheyletiella form of mite can create a highly contagious mange condition, and it is typically transferred by direct contact with another affected animal. The condition can also exist without Mange symptoms or can exist with varying levels of symptoms – including intense itching, scaly skin and hair loss. While you may find many “home remedies” for dog mange on the internet, most of them don’t work, and some may have potential to cause harm to your pet! This is not a condition to be taken lightly, and while proper treatment methodologies can help eradicate the surface infestation problems, the NZYMES® products can help restore the body and immune capabilities to a state that first helps speed the recovery process, then prevents re-occurrence. 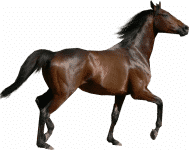 To increase your awareness in this realm, and find effective treatment options, please visit the Pets’ Best site by clicking the image below. There you can find answers, including understanding on why “home remedies” for mange should be avoided.